ASTANA – The World Bank and the Kazakh Ministry of Health and Social Development launched a project for the development of professional skills and stimulation of job creation. The project is scheduled to be completed by June 2020. This is one of the World Bank’s major social projects in the country. The international financial institute has allocated $100 million with $37 million co-funding from the Kazakh government, reported Inform.kz. “The project reflects the growing change in Kazakhstan’s approach to the knowledge-based economy. 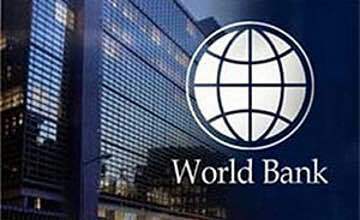 It is important that the country is aware that human capital and skills should become the main driver of growth and competitiveness of the economy,” said Senior Director for Education at the World Bank Group Claudia Costin during the opening ceremony. The project will provide training opportunities to the unemployed, self-employed and employed workers who need training. “The project focuses on the improvement of public employment services as well as the increase of the capacity of training centres and institutions for the implementation of the skills development programme in line with labour market demand. It is expected that improvement in the labour market will contribute to the rise of employment and a reduction in unemployment periods,” the press release from the Kazakh Ministry of Health and Social Development reads. The improvements in the relevance of technical and vocational education, higher education and labour training programmes are also foreseen due to this initiative. The national qualifications system will be aligned with the needs of the labour market focusing on the professional and educational standards and curricula as well as the system of evaluation and certification. The organisers intend to attract representatives of the private sector during the identification process of training needs and the development of skills for improved productivity. “It is assumed that ensuring access of the working population to training opportunities will give economic benefits for companies that will be able to boost their profits by having more productive labour force and for the unemployed and the self-employed, who will increase their chances of getting a job,” the ministry said in a statement. The Kazakh Ministry of Health and Social Development will implement this project in close cooperation with the Ministry of Education and Science and National Chamber of Entrepreneurs.